A top-notch sports bar can be hard to find. Some distinguish themselves as “sports bars” while others just have a lively vibe and a bunch of TVs showing all the games. 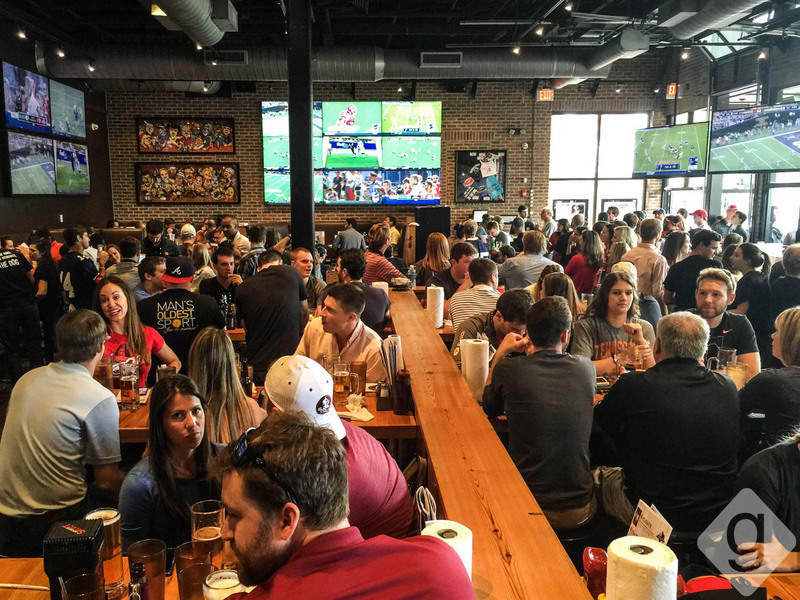 It took a lot of sports watching and beer drinking to come up with the list of the best sports bars in Nashville, but someone had to do it. 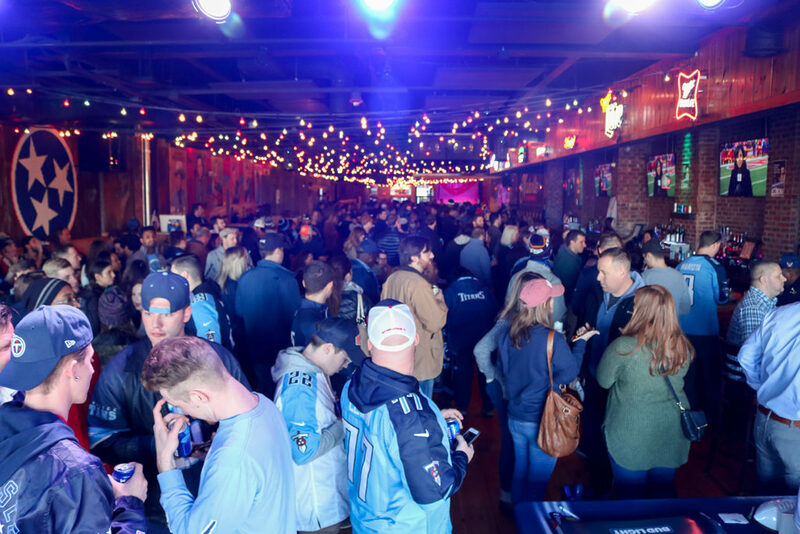 Below you’ll find the top self-proclaimed sports bars along with a list of restaurants and bars suitable for watching any game in Nashville. Crow’s Nest is a two-story sports bar located in Green Hills that’s always packed with fans on game days. With TVs, bars, and seats throughout, it’s set up for game-day action. Double Dogs is a relatively new bar and restaurant in Nashville with locations in Hillsboro Village and Sylvan Heights. 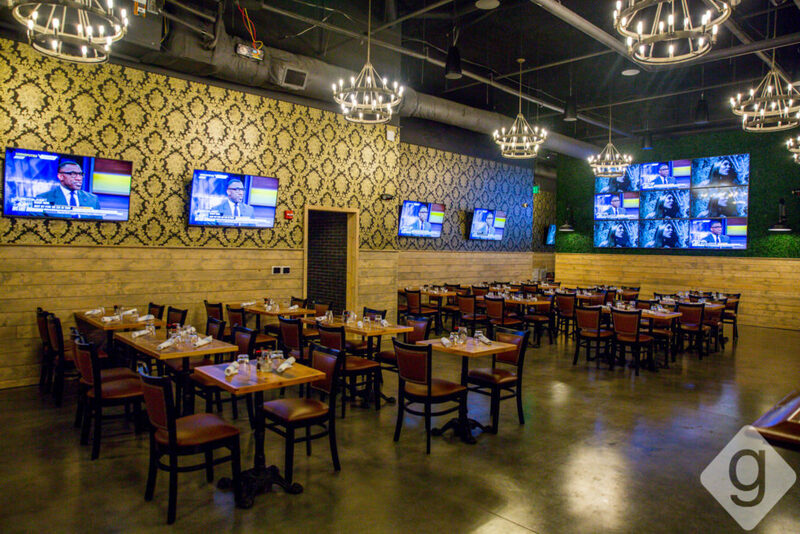 They have plenty of TVs, a large projection wall for popular games, and individual audio boxes for each table so you can listen to any TV. This place is all ages, family-friendly, and smoke-free. Beyond the Edge in East Nashville is a solid sports bar with 25 HD televisions. They also have over 125 beer options with 25 on draft.  Located right in the heart of the Five Points area in East Nashville, you can walk to several different bars and restaurants before or after you watch your favorite team. Neighbors is a neighborhood bar with two locations in Sylvan Park and Germantown. Neighbors is known for a laidback atmosphere, pub grub, happy hour specials, and plenty of beers on draft. 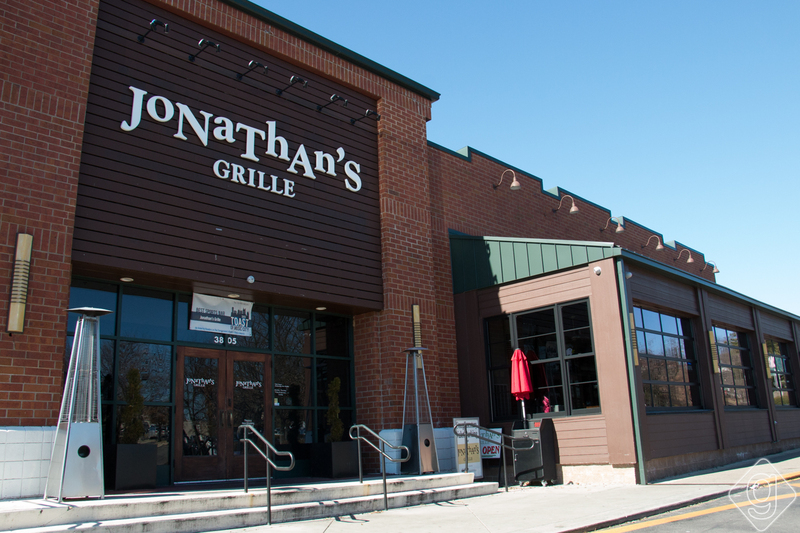 Jonathan’s is another local place to catch a game. 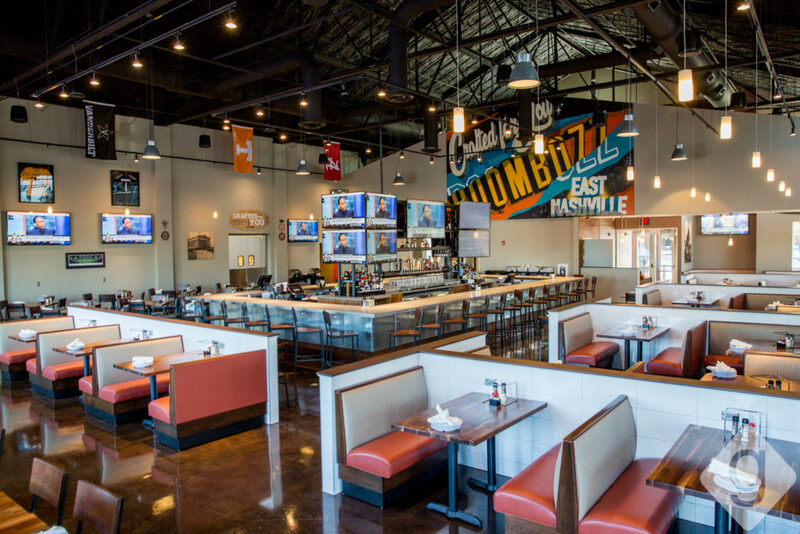 The sports bar has seven locations including Green Hills, Cool Springs, Bellevue, Spring Hill, Mt. Juliet, Murfreesboro, and Hendersonville. There are 55 televisions at each location. The expansive food menu is sure to satisfy any palate, too. 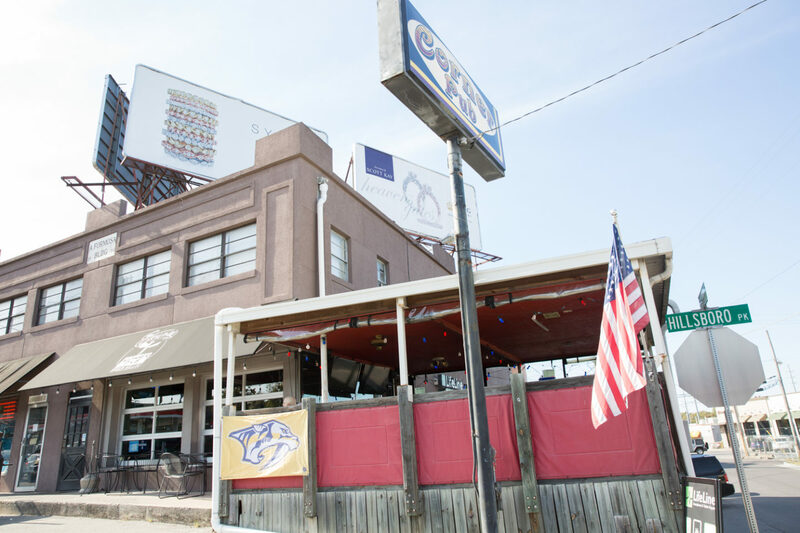 Since 2006, Corner Pub has been a top destination for sports fans in Nashville. 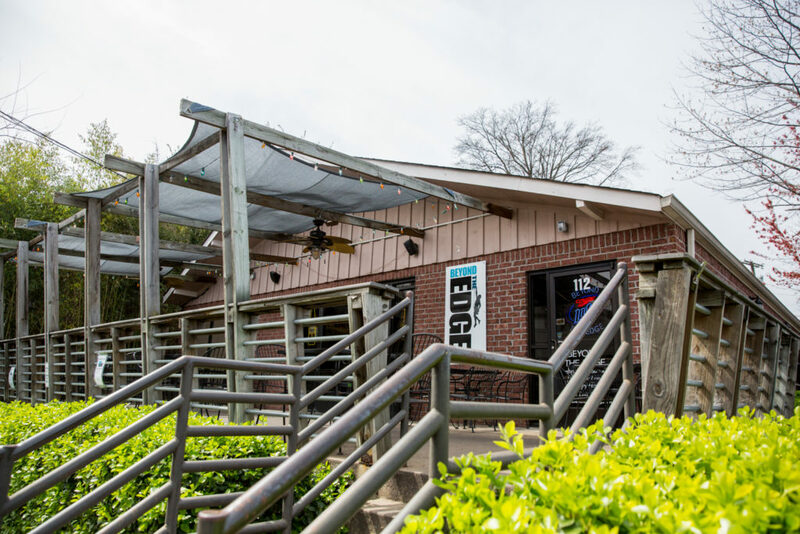 After closing its popular Midtown location in 2016, Corner Pub opened a new outpost in Downtown about a block from Puckett’s. Corner Pub also has other locations in the burbs. If you’re Downtown, give this spot a try. The Original Corner Pub, which is owned and operated by a separate group from Corner Pub, has locations in Green Hills and now The Nations. 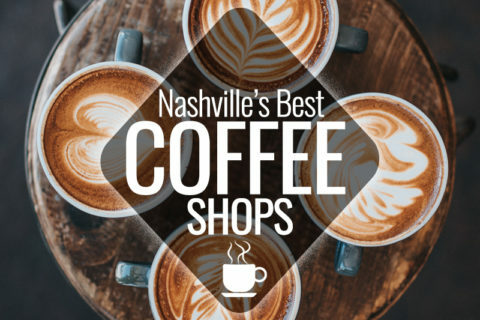 The Green Hills location has been in business for over 15 years, so you know they’re doing something right. 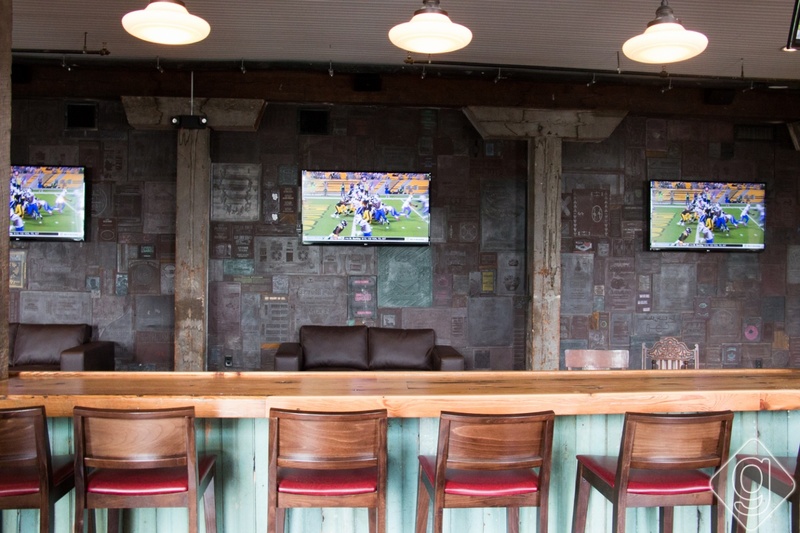 Find a seat here for the ultimate neighborhood bar feel. 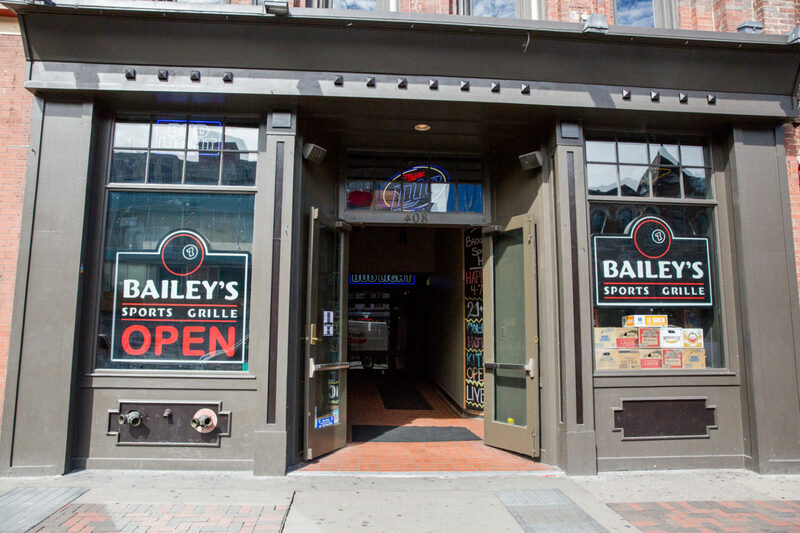 Bailey’s located in Downtown Nashville is a fun place right on Broadway. You can catch a game inside or on their open-air courtyard on nice days. Plus, right after the game, you can easily get to all the honky tonks, if that’s your thing. 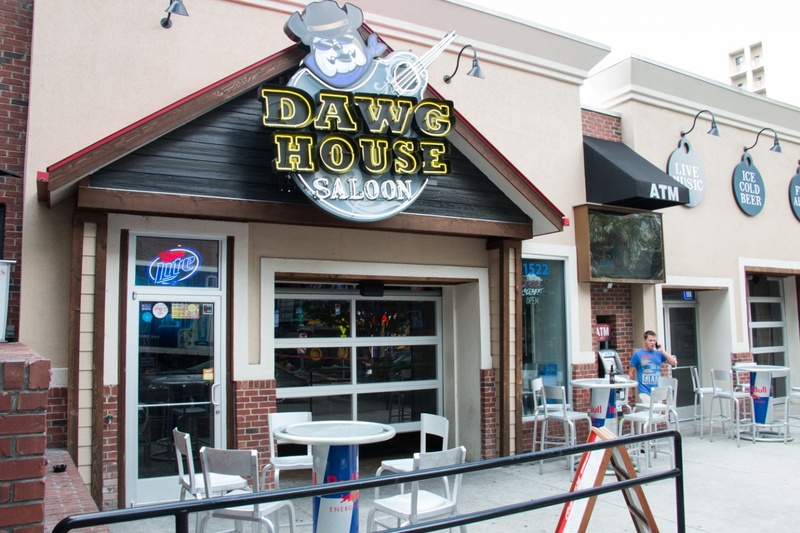 With a slogan like “a music venue with a sports addiction,” Dawghouse Saloon is always a good time. Every seat in the house offers a view of a big screen TV. And on those nice Nashville days, you can grab a spot on the patio where they have a TV for you to keep up with the score. The Mainstay is a fresh spot on the east side located in the 5th and Main building. They have 23 TVs throughout for watching the game, a sports bar-eclectic menu, and plenty of beer on draft. M.L.Rose is a casual place to meet your friends and grab a burger and a beer. 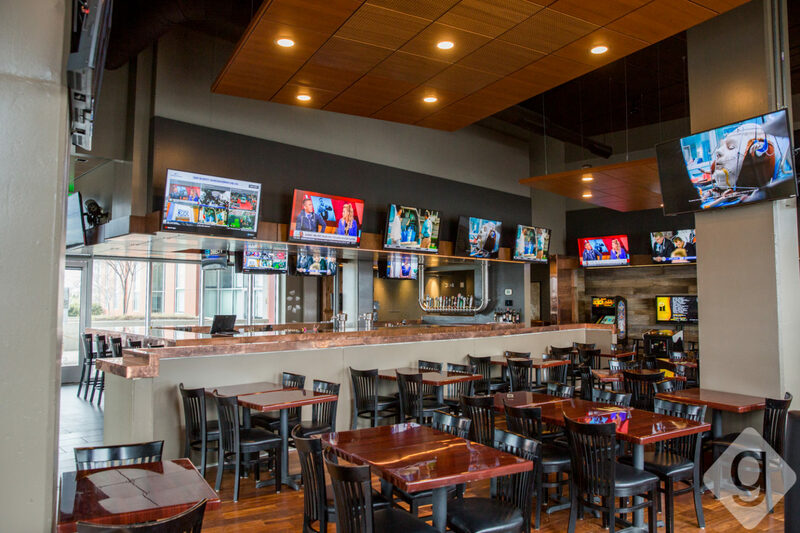 There are televisions throughout each location (Melrose, Sylvan Park, & Capitol View), but make sure your game is on before heading there. 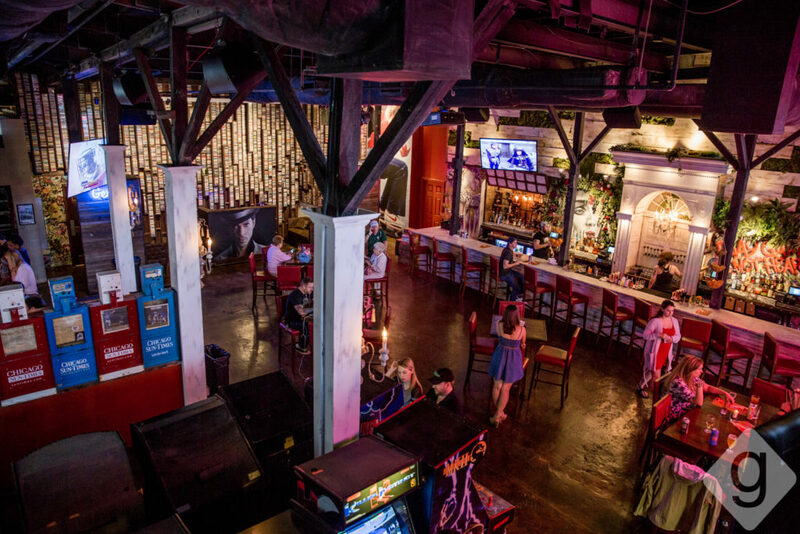 The Melrose location has plenty of arcade games to keep you busy during halftime while the West Nashville location has a huge outdoor area with giant Jenga. Acme‘s second floor is a top destination for sports watching due to its open seating and standing area. You can grab a big booth or group of chairs to mingle with friends. Also, there’s a huge rooftop bar with a bunch of TVs and great views of the city. 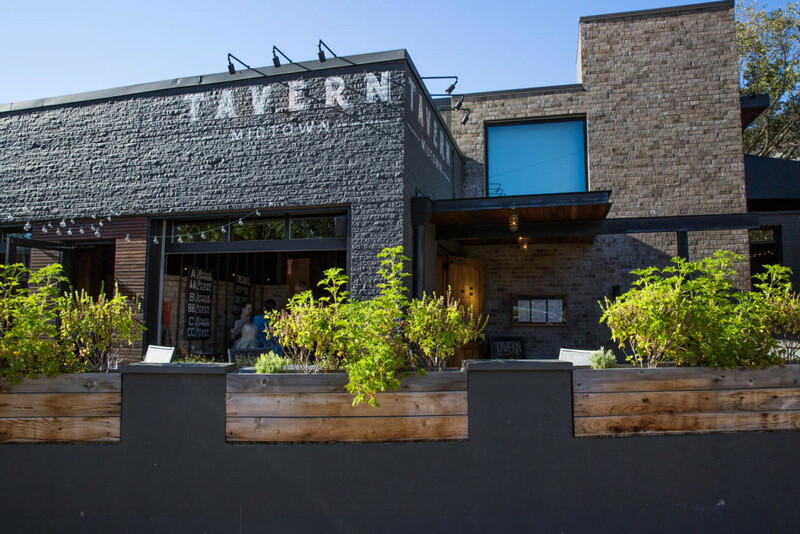 Head to Tavern in Midtown for delicious food and an upbeat atmosphere. Tavern has 14 TVs for sports enthusiasts, plus some of the best food in Midtown for those wanting something better than typical bar food. Important Tip: Tavern’s brunch is one of the most popular in the city, so get there early on Saturdays and Sundays. The Ainsworth is a recent addition to the Nashville restaurant scene, offering a more upscale, sports-friendly atmosphere. There’s a nine-screen TV wall and dozens of HD TVs throughout the restaurant. 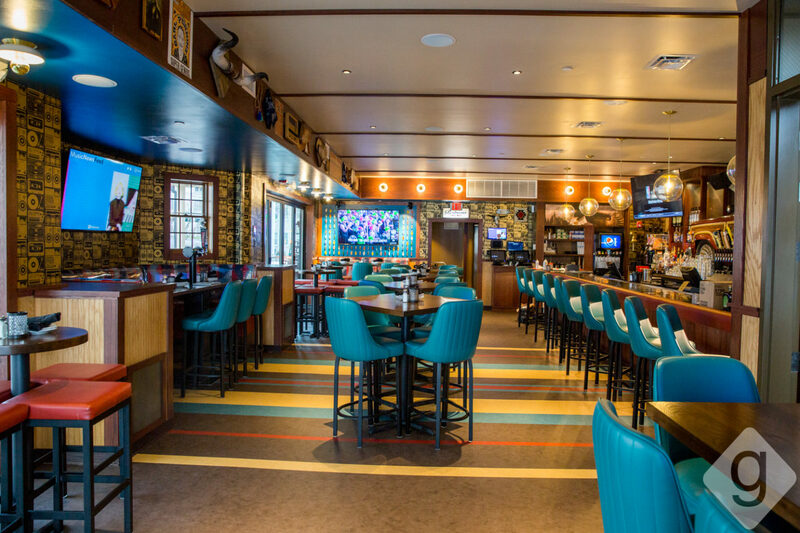 Sit at the central bar or grab a booth for your entire crew. Make sure to get a group photo under the the “Nashville” wall in the front dining area before you leave. 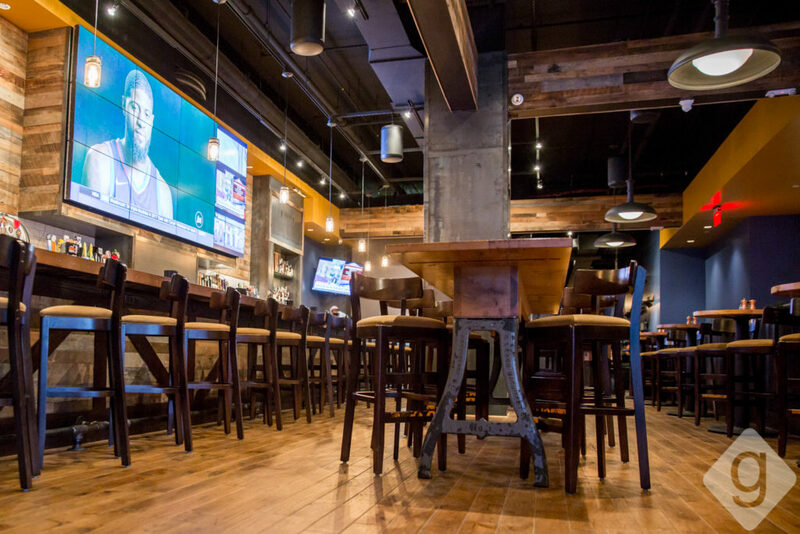 The George Jones, located right off Broadway in downtown Nashville, is a spacious spot to watch the game on over 20 HD TVs. 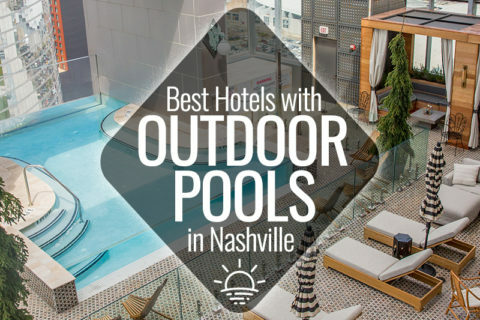 Enjoy views of Nissan Stadium and the Cumberland River from the rooftop patio, which is heated and partially covered during the colder months. On fall game days there’s even giant beer pong and other fun drinking games on the rooftop. Play pinball and arcade games while you watch your favorite team on the 200″ HD projector screen at Headquarters Beercade in SoBro. There are 30 vintage arcade games, pinball machines, a dozen beers on draft, and a creative cocktail menu. Midtown’s Hopsmith Tavern is a multi-floor neighborhood gathering spot next to Slider House. 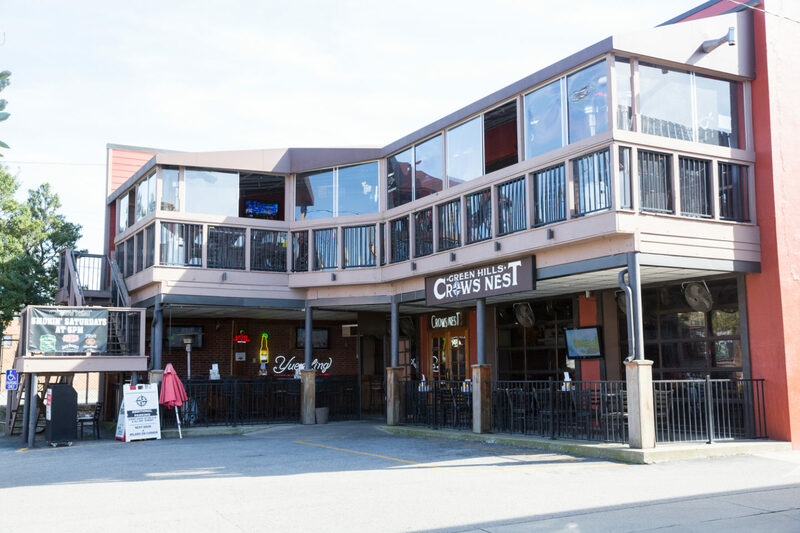 Grab a booth with your crew, roll solo at the bar, or take a seat on one of the outdoor patios. Draft beers are flowing here, including a couple tables where you can pour your own drafts. Wraps, sliders, burgers, and a foot-long grilled cheese are just a handful of the menu options. 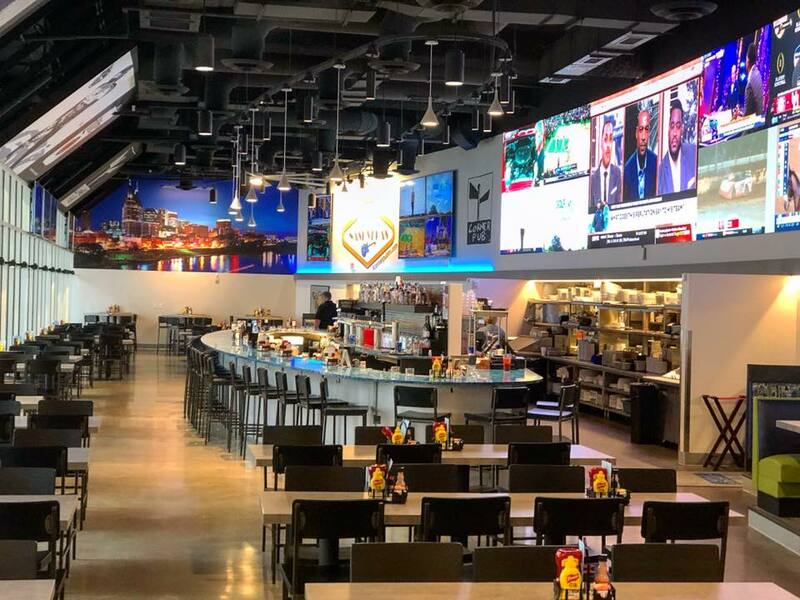 If you’re in the Downtown/SoBro area, City Tap House has an exceptional craft beer list in addition to many TVs, including a 15-foot LCD video wall. This is an American pub and restaurant based out of Philly. Expect elevated pub classics like Maryland-style crab cakes and Korean short rib tacos. 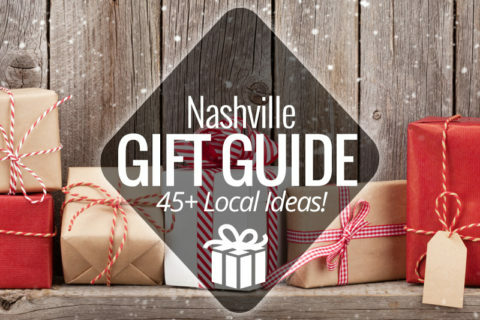 For pizza, beer, televisions, and a playground (yes, a playground), head over to East Nashville’s BoomBozz. Enjoy the game and brews while the kids get some exercise outside on the slides. Don’t see your favorite bar to belly-up to for a fantastic sports watching experience? Let us know in the comments section! 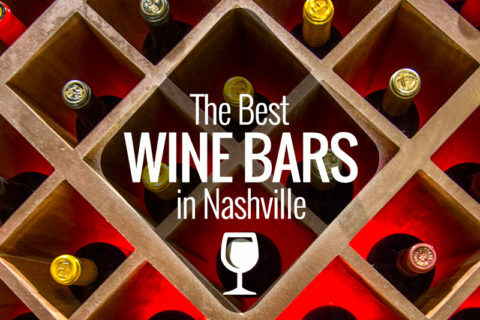 11 Comments on "Top Sports Bars in Nashville"
but I wholeheartedly believe that “Beyond the edge”, the home of Bear Down Nashville should be on this list. 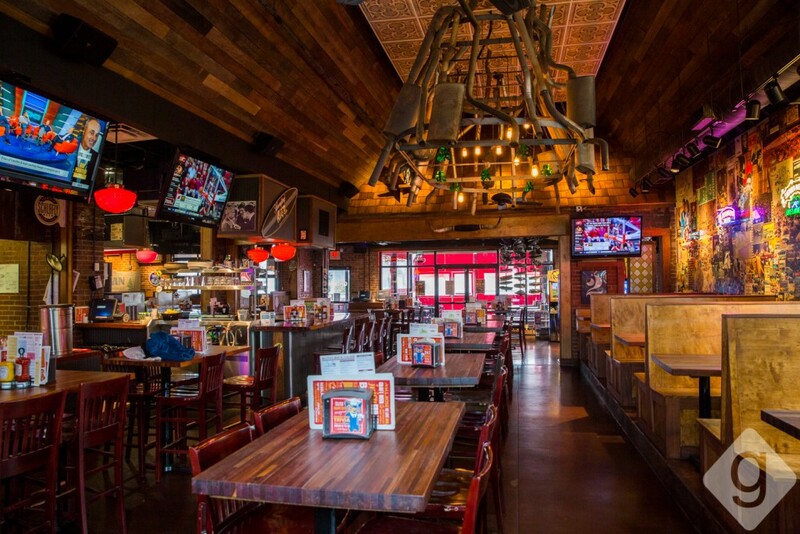 Sam’s is our crew’s favorite place to go on football sundays! Great list of other ideas though!!! Belcourt Taps is not a sports bar per se, but it is the home of the Music City 12th Man/Tennesseahawks group. We will be “tailgating” on the patio before the game on Sunday. If you are a Seahawks fan in Nashville, look us up on Facebook for more info! Off to Nasville in 2 weeks time. Does anybody know where to watch Formula 1 racing on Sun 20/3? Whiskey Rhythm is the Official New England Patriots bar and Ohio State bar. On Sunday it have over 150 Pat’s fan. You forgot that one. 2 GREAT spots of consideration would be “Jeds Sports Bar” by Vandy (especially during College Football Season) and Sams on Old Hickory Lake where you can doc the boat. Any know where i can watch the Philadelphia Eagles Game on 9/24? The Saints vs Falcons game this weekend on 12/24/17, any Saints fan bars suggestions? Sam, If you’re looking for a cool place to go to watch a Saints game, go to Westshore Pizza in Brentwood. Great food and it’s a Saints watch party there every Sunday.